From Iquique, I flew to Santiago and then, after a one night stay, I flew further south to Temuco. Don’t worry: I’ll be returning to Santiago at the end of the trip. My logic is that, if I get delayed by bad weather in Tierra del Fuego, which is not unlikely, it’s better to have fewer days in the capital than to miss my return flight to London. As usual, the flights were fairly unremarkable except that the flight to Temuco, which was only about an hour long, didn’t really give the cabin crew enough time to serve the snacks before descent. Being right at the back of the Airbus A320, we were served during decent which led to a fair amount of flying drinks when we hit some turbulence going through the cloud layers! My original plan was to reach Temuco by train from Santiago. Chile doesn’t really do trains except for freight and the occasional Santiago-Temuco service is one of the few remaining passenger lines. However, the services are infrequent and, discovering I could get a free flight in return for a few Avios points I had accumulated, flying seemed the more sensible option. A note to any of my colleagues reading who are planning their sabbaticals: do get a credit card that gives Avios, Airmiles or similar. It’s well worth it if you’re planning to travel. Before coming to Chile, I’d emailed Carlos CE6MDL from Temuco Radio Club to ask where to buy a specialist battery for the radio gear I wanted to use from the Lake District, which I couldn’t carry on flights. Carlos turned out to be an absolute star: not only did he take a day of work partly to take me to get the battery, he then bought me lunch with his wife, took me to get my hire car to save me the taxi ride, ensured I drove it back to my hotel safely (the Suzuki Swift is both left-hand drive and automatic, both of which are unusual for me! 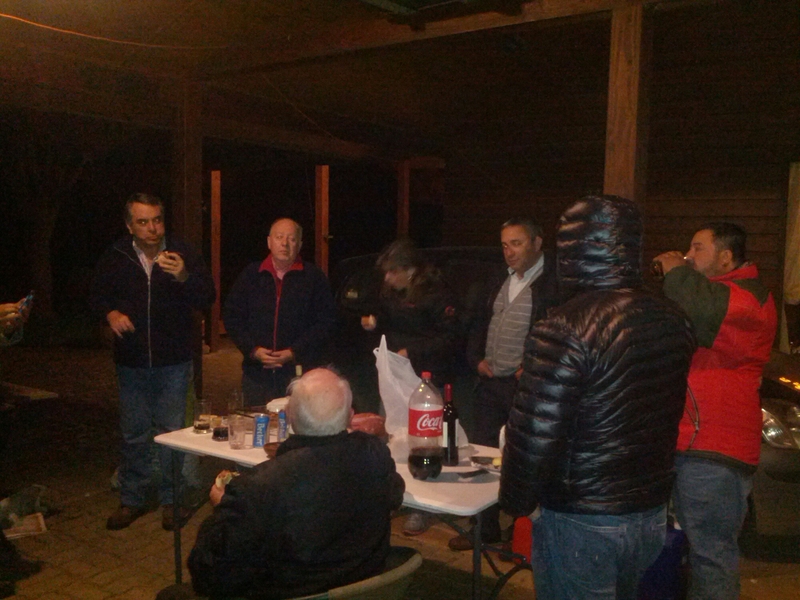 ), took me to his house to wash some clothes and then invited me to the weekly Temuco Radio Club barbeque at his place! Thanks so much, Carlos! Unfortunately, the dinner was a rather later affair than I had hoped. Despite starting at 8pm, the meat didn’t come off the barbeque until after 11pm, and it was well after 1 am before I got home. The region is currently going through an unseasonally cold snap. By this point in late spring, it should be getting to 20c by day. It’s actually only been about 15c, and this morning temperatures were as low as 6c. Luckily it’s not forecast to be quite so child in the next few days but my planning camping over the next couple of weeks could be decidedly nippy. The day spent with Carlos Aldo meant I didn’t have much time to explore Temuco but from what I did see, it’s a pretty simple, commercial town with not a huge amount of interest for tourists in the built up area at least.